Eviatar Zerubavel has an important insight about the way the human mind categorizes and compartmentalizes reality to create a sense of order in an otherwise chaotic universe. He also recognizes that the opposite of a rigid mind -- one that imposes no structure and leaves us adrift in a sea of ambiguity -- is equally unhelpful. While his advocacy of a mid-way "flexible mind" is welcome, I would have liked him to discuss more about how we can encourage that way of thinking. 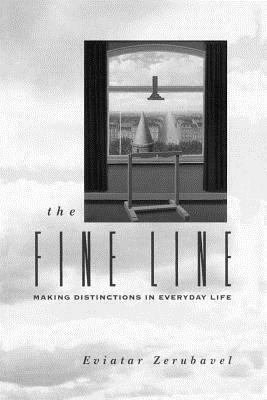 He spends an inordinate number of pages listing all the various ways that we carve up the world into categories, but relatively little time explaining how and why people are drawn to thinking in rigid or fuzzy ways, and how to foster greater flexibility in a world awash with fundamentalism. I love this book. Zerubavel is so clear and writes so well. It's like reading Goffman (and he's a student of Goffman's)--only it's edited. I think I might use this to teach intro some day. This book explains how we carve mental categories out of the fluid context of reality. It was a real eye-opener.